ClearCoin is announcing expanded capabilities for its managed programmatic media buying services with the addition of over 30 ad exchanges. The new integrations allow for up over 800 million daily queries to be submitted to the ad exchanges. The global ad market generates over $500 billion every year and the ad exchanges we are working with represent a large amount of available inventory in the ecosystem. Recent news that Google, Facebook, and Twitter are banning cryptocurrency related ads creates a void in the market for the burgeoning crypto ecosystem. We believe there are opportunities outside this void because large swaths of ad inventory are still available for cryptocurrency related products and services. ClearCoin’s managed programmatic media buying services are generally geared toward Fortune 500 companies and our team has a great deal of experience selling to those organizations. In addition to these established organizations, we have an opportunity to aid companies in the cryptocurrency market with their ad buying. Ad buying can be distilled to spreading ideas and the cryptocurrency community has a lot of great ideas to spread at this time of market growth. In the coming months, we will be announcing new partnerships within the media and ad community to create further demand for the ClearCoin (XCLR) token. Demand is driven over time and compounds to create more long term value. New integrations with ad exchanges allow us to deliver on key ad formats like mobile, display, search, social, and video. These formats create the foundation for large buyers to drive demand for the economy that we’re building. 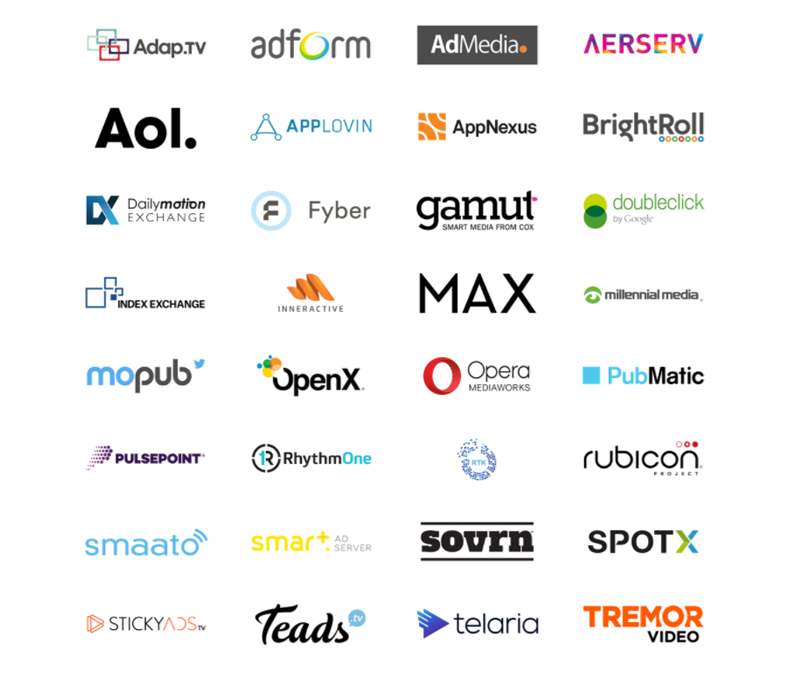 New capabilities include bidding on the following ad exchanges: Adaptv, Adform, AdMedia, Aerserv, AOL, Applovin, AppNexus, BrightRoll, Dailymotion Exchange, Fyber, Gamut by Cox, Google’s Adx, Index Exchange, Inneractive, Maxads, Millenial Media, Mopub, OpenX, Opera Mediaworks, PubMatic, PulsePoint, RhythmOne, RTK.io, Rubicon Project, Smaato, Smart Ad Server, Sovrn, SpotX, StickyAds, Teads, Telaria, Tremor Video, Yahoo.